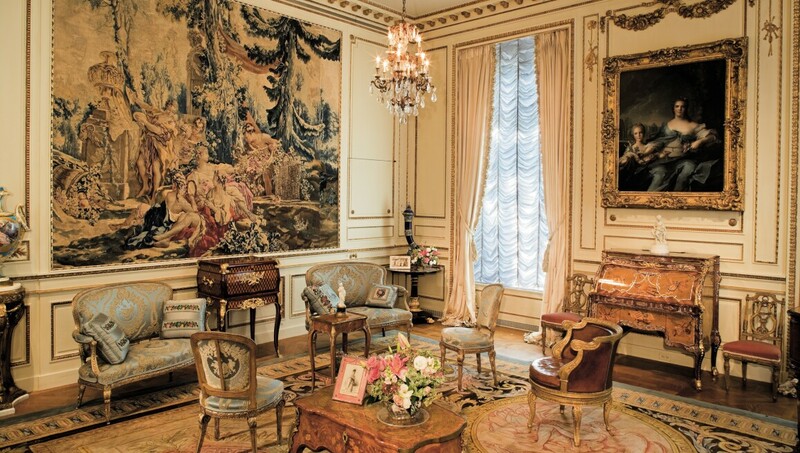 Opened in 1977, Hillwood Estate, Museum and Gardens is an immersive space where the captivating life of Marjorie Merriweather Post and the exquisitely maintained Mansion and Gardens combine to create an experience unlike any other. When art collector, businesswoman, social figure and philanthropist Marjorie Post left to the public her northwest Washington, DC estate, she endowed the country with the most comprehensive collection of Russian imperial art outside of Russia, an exquisite eighteenth-century French decorative art collection, twenty-five acres of serene landscaped gardens and natural woodlands and a pristine Georgian-style mansion displaying Post's exquisite way of life. Highlights of the collection include Fabergé eggs, Russian porcelain, Russian Orthodox icons, Beauvais tapestries, Sèvres porcelain and Post’s personal collection of apparel, accessories and jewellery. The thirteen acres of enchanting formal gardens include a Japanese-style garden, rose garden, French parterre and greenhouse full of orchids. A range of special exhibitions are presented throughout the year to offer added perspectives on the collections, gardens and founder's life story.